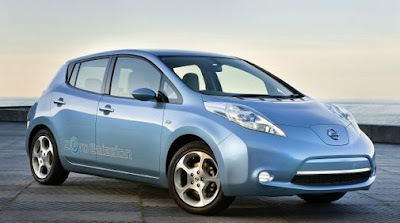 Home » Nissan » Nissan Leaf sales surpass 4,000 in U.S.
Nissan Leaf sales surpass 4,000 in U.S. Since its launch in December 2010, Nissan has delivered more than 4,000 Nissan LEAF electric vehicles in the United States. The Nissan LEAF currently is available in Arizona, California, Hawaii, Tennessee, Texas, Oregon and Washington, with additional markets launching later this year. To date, more than 350,000 people have expressed interest in the Nissan LEAF by signing up for updates, including information on how to purchase and reserve a vehicle, at www.NissanUSA.com. "As the Nissan LEAF gains momentum in its U.S. rollout, more consumers have expressed the desire to get behind the wheel and experience gas-free driving for themselves," said Jon Brancheau, vice president, Marketing, NNA. "We're thrilled to bring the 'Drive Electric Tour' to new cities across the country, as well as revisit several key markets where consumer interest continues to grow." The Drive Electric Tour, a one-of-a-kind consumer driving experience, began in October 2010 and by March 27 had provided approximately 50,000 Nissan LEAF test drives in key markets across the country. The tour provides prospective Nissan LEAF owners the opportunity to learn about the car, its technology and features, and take it for a test drive. Current Nissan LEAF owners also are invited to participate and share their ownership experiences with others interested in electric-vehicle technology.